Hey, everybody! I asked Pia Carrot if I can host this season's competition, and Pia Carrot agreed! So, without further ado, let's start! Until May 1 we will be accepting nominations for Hack of the Season - Spring. Hack must have a playable beta released during the spring months. Hacks must be consistently updated in the spring months, and have a beta either from the spring season or from before it. On May 1st, we will put up a poll with all of the nominations, so nominate away! Please include a link to the hack thread! Was gonna say discovery but as I can't seem to find a thread I'm gonna say Gaia. Good luck with this thread I was thinking of PMing Pia but u did it first. I noticed the thread of Discovery! I hereby nominate Discovery! 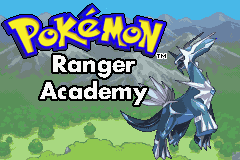 Oh man, there are a LOT of potential nominees, but I'm going for Pokemon Gaia on this one!